The world’s largest rocket was successfully initiated by the US, United Launch Alliance’s (ULA) ‘Delta IV Heavy’, carrying a classified payload for the US intelligence agency- National Reconnaissance Office (NRO). The office is primarily responsible for producing spy satellites and improving hardware sent out to space. It is believed that the latest Delta IV rocket launch is again part of that bid to have “eyes and ears” in difficult to reach places, although the exact purpose or location of the satellite is unknown. 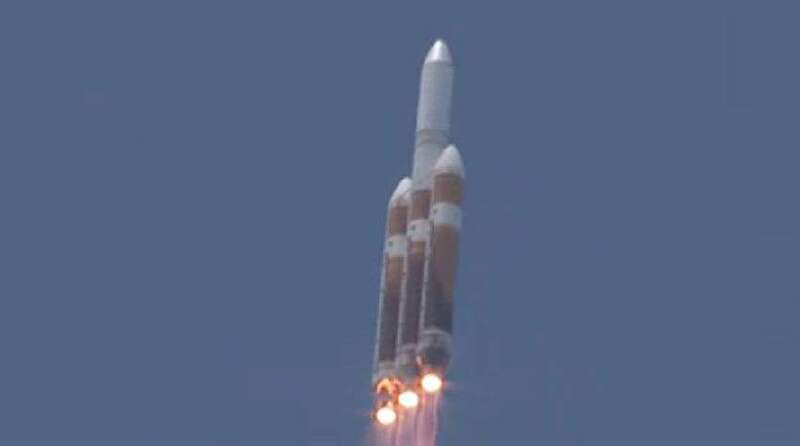 The United Launch Alliance, a joint space delivery service by aerospace giants Lockheed Martin and The Boeing Company, carried out the launch of a Delta IV Heavy rocket. It saw the triple engine craft roar from its launch pad at the Cape Canaveral Air Force Station, traveling at the speed of sound before soaring beyond the atmosphere. The launch’s live feed was cut after six minutes to maintain the payload’s secrecy. The mission, NROL-37, was the ninth to be launched atop a Delta IV Heavy since its debut in 2004.